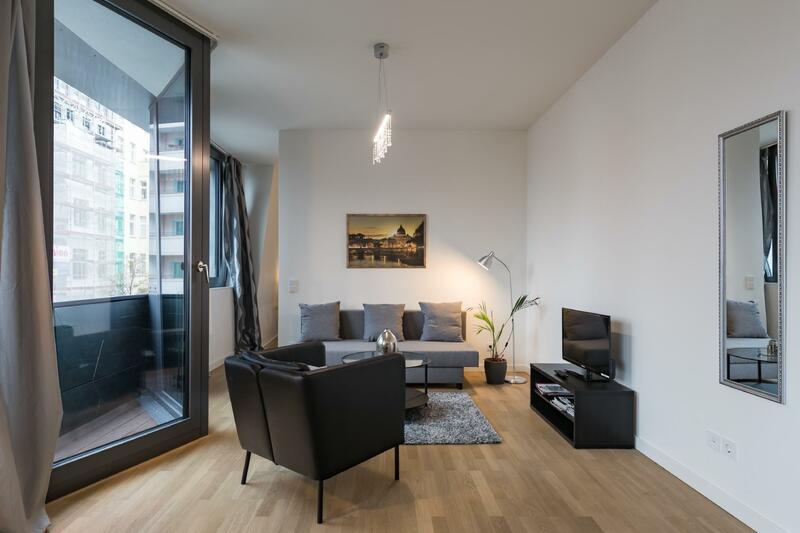 Located in the Mitte area, Modern Apartments in Sapphire by D. Libeskind is the ideal point of departure for your excursions in Berlin. The city center is merely 1,5 km away, and the airport can be reached within 35 minutes. With its convenient location, the property offers easy access to the city's must-see destinations. Experience high quality room facilities during your stay here. Some rooms include closet, towels, clothes rack, separate living room, flat screen television to help guests recharge after a long day. Throughout the day, you can enjoy the relaxing atmosphere of the fitness center. Whatever your purpose of visit, Modern Apartments in Sapphire by D. Libeskind is an excellent choice for your stay in Berlin.